This year the National Park Service turns 100, making it a great time to visit and appreciate all the National Parks have to offer! But, what if you’re like me? I love to hike and get out to explore the natural beauty, but I don’t like to camp. I’d camp if it was the only option or part of a really incredible experience I didn’t want to miss. Otherwise, I much prefer to come back to a cozy room with a bed and a hot shower. The dilemma is many of the National Parks are accessed by gateway towns with nothing much else nearby. Hotel prices are often high, especially during peak seasons, which is why I like to use hotel points for free nights at National Parks. If you’re new to hotel loyalty programs, check out my informational post for beginners and pin the infographic below for your reference. In this post, you’ll find the hotels available in each town that have hotel rewards programs. Interestingly, in doing this research, popular hotel loyalty brands like Starwood, Hyatt, and Club Carlson have little to no presence in the gateway cities near the following National Parks. 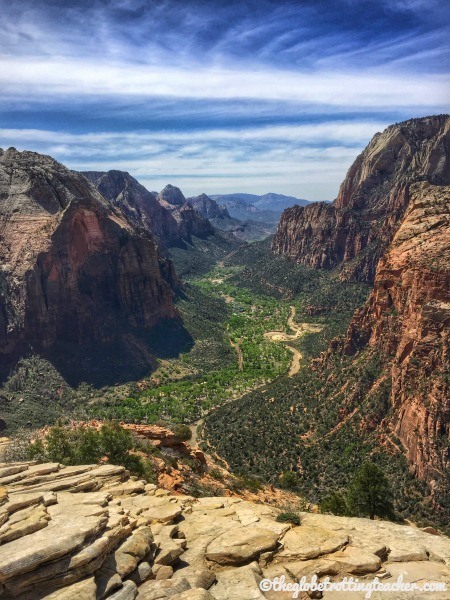 Instead, hotel programs like Choice, Wyndham, and Best Western, in addition to IHG and Hilton, have many properties in ideal locations for National Park trips. The tricky thing with Choice, Wyndham, and Best Western, though, is their points can be more difficult to earn. The best route is through paid stays, taking advantage of frequent promotions, and getting elite status to earn a higher percentage of points. Best Western and Choice also have partners like Avis Car Rental, which helps to earn hotel points when renting a car. 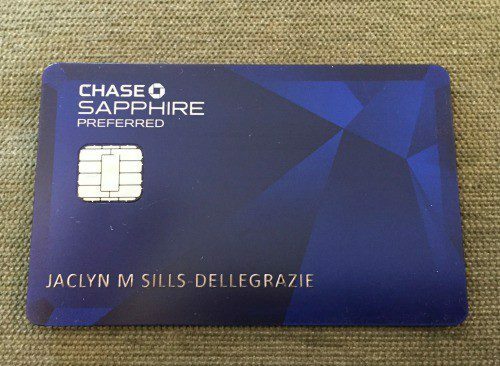 Choice and Wyndham both offer co-branded credit cards but there are several other travel rewards and co-branded hotel credit cards that I’d deem way more valuable, like the Chase Sapphire Preferred or SPG American Express. 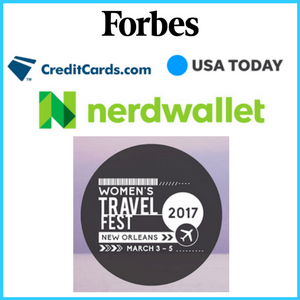 My favorite travel rewards credit card! Choice also partners with American Express Membership Rewards. Amex points transfer to Choice at a 1:1 ratio. This isn’t the best way to get the most value from your Amex points, but perhaps for the right redemption, it could make sense. Always compare the value you’re getting from each point and compare it to what a paid stay would cost. Below you’ll find popular National Parks with their gateway town and a list of hotel options. Please keep in mind for hotel reward programs like Choice and Best Western who don’t have set hotel categories and/or award charts, every effort was made to find the correct number of points for peak summer stays. All numbers were accurate at the time this post was published. 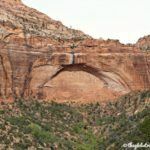 Moab, Utah is the gateway city for both of these stunning Utah National Parks. 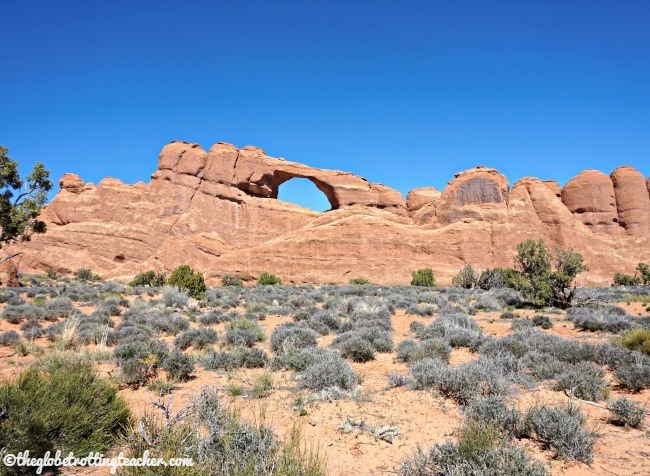 Surrounded by orange sandstone rock formations, Moab is ideally located. 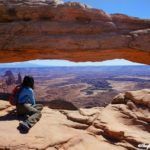 Arches is just 5 minutes from town and Canyonlands is just 25-30 minutes away. 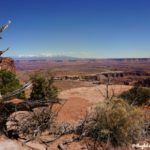 Moab is a full-service town with hotels, restaurants, gas, tour operators, and shops for all your basic necessities. It’s a lively town to stroll through in the evenings after a day out in the nearby parks. Springdale, Utah is situated right just footsteps from the park’s entrance and visitor center. The town runs along the main road with shops, places to eat, and accommodations. The town has few, if any, big name chain restaurants or hotels. Expect to find local eateries, inns, and B&Bs. There is a free shuttle that runs along the main road carrying people to and from Zion’s entrance. 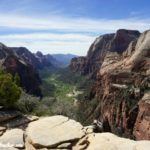 Below, find the hotels near Zion National Park you can book with points. 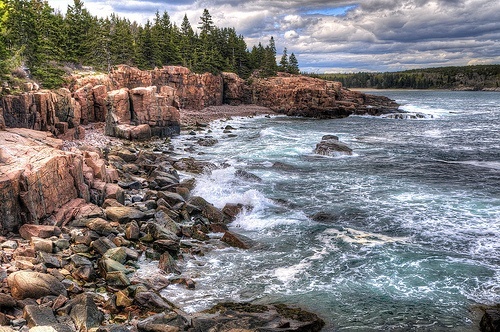 Bar Harbor, Maine is surrounded by the National Park gem of the east coast, Acadia. The town sits on the Atlantic coast on Mount Desert Island. Picture a quintessential New England harbor with sailboats tethered to piers in Frenchman’s Bay and quaint streets lined with specialty shops and restaurants. While the Bar Harbor area is home to numerous privately owned guesthouses and hotels, there are a few options for those who want to book an award stay with hotel points. 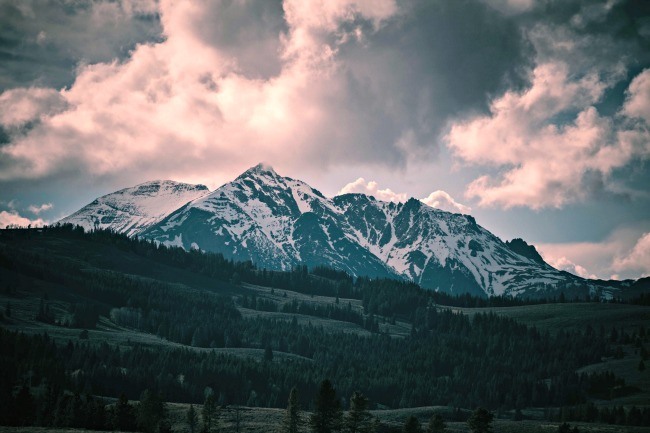 Jackson, Wyoming is just a few minutes from the National Park and has a distinctive feel of a wild west frontier town. The mountains, lakes and natural landscapes within the National Park offer an endless number of outdoor adventures, particularly during the summer months when the town is at its busiest. Don’t be fooled by this western town’s cowboy-esque exterior. The extremely wealthy and celebrities, alike, have homes in and around the Jackson area. Expect to find spas, restaurants, and even art galleries that cater to upscale seasonal residents. West Yellowstone and Gardiner, Montana, as well as Cody, Wyoming are gateway communities leading into 3 of Yellowstone’s 5 entrances. Yellowstone is open year-round, but be sure to check the town and entrance you intend to use as all entrances aren’t open all year. In Cody, WY, you’ll be just a few miles from Yellowstone’s eastern entrance. After a day of hiking, you can channel your inner cowboy/girl by learning more about Buffalo Bill and heading out to the rodeo. Gardiner, MT has the most in the way of essential services. Nearest to Yellowstone’s north entrance, get your camera ready for plentiful wildlife sightings. West Yellowstone, MT is a tiny town with just the basics. It’s just a mile from the west entrance and has convenient access to Old Faithful. 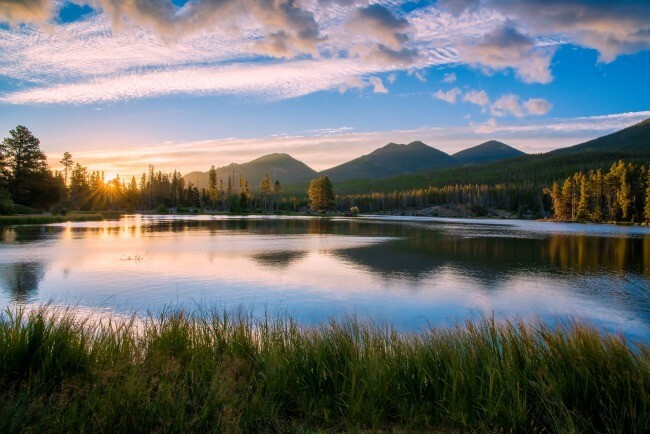 Whitefish and Kalispell, Montana are west of the park and provide access to the alpine forests, glacier-fed lakes, and mountains within the park. The famous Going-to-Sun-Road is roughly 30 miles from this entrance. Whitefish has its share of small shops but also has a larger Safeway. Kalispell is even more commercial with big name brands like Target and Starbucks. Whitefish has adventures for all seasons from skiing to zip-lining to hiking. Kalispell is a bit further from the park, with perhaps not as much charm. But, at only 40 minutes from Glacier’s western entrance, it’s a convenient choice nonetheless. 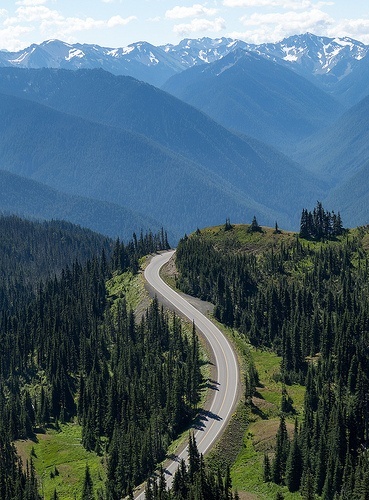 Port Angeles and Sequim, Washington are gateway towns to the park situated on the Olympic Peninsula. Port Angeles is just minutes from the visitor center while Sequim is about an hour away. 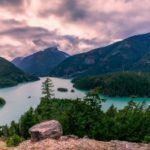 With access to the straits and channels leading to the Pacific Ocean, ferries to the islands and nearby British Columbia, beaches, and kayaking are all accessible. Both towns offer downtown areas with shops and markets. 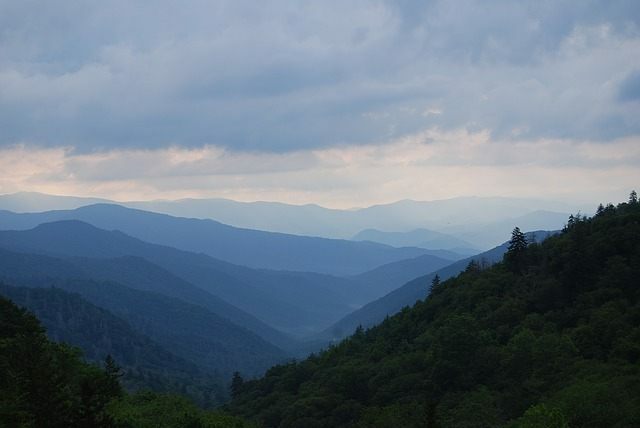 Gatlinburg, Tennessee and Cherokee, North Carolina are your best options for using hotel points on a visit to Great Smoky Mountain National Park. 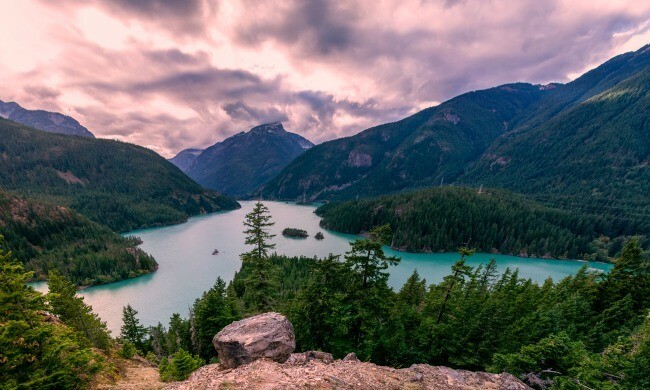 This is the most visited National Park in the United States. Expect to find a large, sprawling town in Gatlinburg with all basic amenities and attractions like Ripley’s Believe or Not Museum. Cherokee is only 25 minutes from the park’s entrance on the North Carolina side and, as its name suggests, has deep Native American roots. Where Gatlinburg is a town all to itself, the food and lodging amenities in Cherokee exist for tourism only. Oakdale, Mariposa, Oakhurst, and Mammoth Lakes, California all offer hotel lodgings with loyalty programs. Oakhurst is the closest at just 22 miles from Yosemite’s southern entrance. 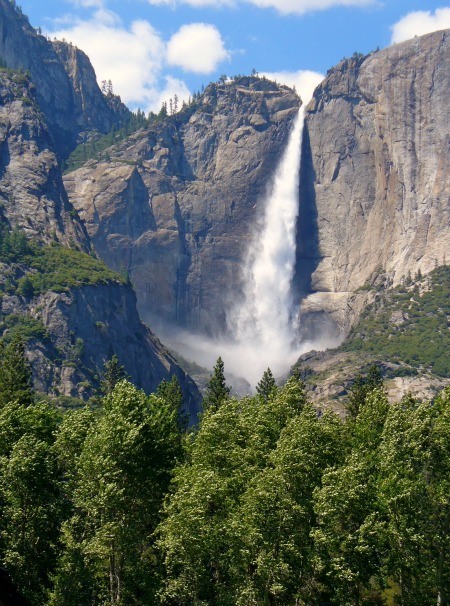 The remaining gateway towns are between 30-40 miles from a Yosemite entrance. Oakhurst is primarily for basing yourself in proximity to the park. To immerse yourself in the area’s natural beauty, you’ll need to head into the National Park itself. Estes Park, Colorado is located at the east entrance to the park. The town’s roots are based in tourism. You’ll find everything you need for a comfortable visit to the National Park. Free shuttles transport visitors through the town directly to the park’s visitor center. Expect to find a wide selection of places to eat and outdoor activities. There are shops that rent gear for all of your adventure needs. As for chain hotels, there are a few in town you can book with points. Looking for more ways to save money on your National Park trip? Check out 5 Ways to Save Money at National Parks! Are you planning a visit to the National Parks? Which hotel loyalty program do you use? 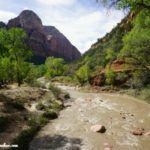 I’ve just returned from a trip to the National Parks and although I like to save money, I have found that it is worthwhile to spend the money to stay at the lodges or cabins inside the parks. It gives you a whole different experience. I was able to see both the stillness and peacefulness of the park at sunrise and sunset and watch the nearby animals without crowds of people. Plus, most in-park lodges have their own personalities and are located in the most scenic locations, with excellent access to in-park transportation and facilities. I always book directly with the concessionaire and for the most popular ones as soon as reservations open up. This is fantastic! I did a lot of national park visits when I was a kid, via RV or (gasp) in a tent. When I go back I’d love to have a hot shower and a room not on wheels this time 🙂 Love the points graphic too, I bookmarked that for later! 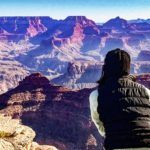 Wow, this article is probably one of the best I have read on the topic of redeeming and maximising your points, as well as using them to benefit from free hotel nights. I salute you for all the efforts. I pinned it! Thanks for sharing. Thanks for sharing, Svetoslav! 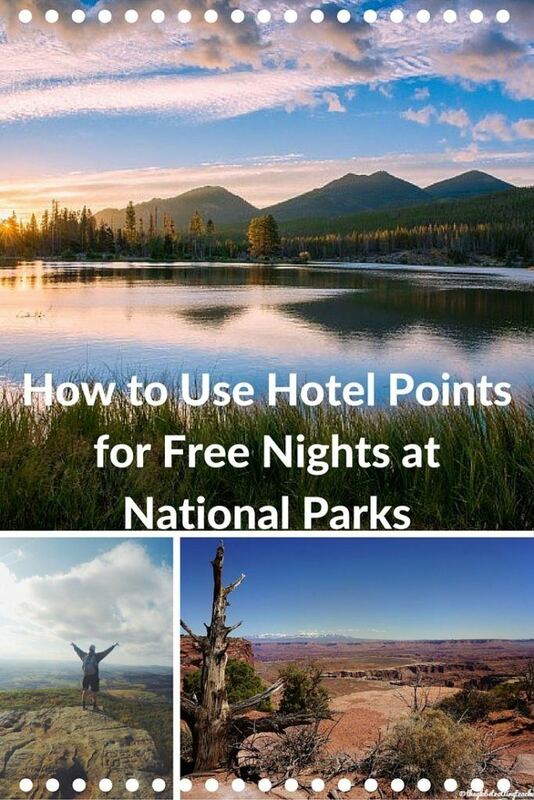 Hope it will be helpful for anyone wanting to use points for National Park stays! We have visited only one of the National Parks listed here and that is Yellowstone. We love National Parks, they are veritable treasure troves of natural beauty in all its splendour. And yes many a time accommodation with easy access to the parks is an issue. 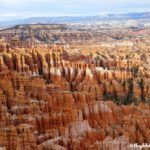 Your post packs in a lot of information on the accommodation available near each National Park and how to use hotel points. Very useful information,, will store this for easy reference. That is so cool that you can do that! I always learn a new travel hack or two after reading your posts! We love staying in that actual park when possible but it seems like you really have to plan ahead as places fill up so fast during high season. Staying in a nearby hotel is good idea too so you can get to the park ASAP in the morning. We’re mostly Hilton and IHG people so I am happy to see several options near Great Smoky Mountain National park. Hoping to road trip there this summer! Have an awesome trip to Great Smoky Mountain National Park, Alana! We booked our National Park road trip last minute and couldn’t stay in the parks we visited. We were really happy with IHG, too. The Holiday Inn Expresses we stayed at were consistently nice and cozy and were situated close to the parks for an easy early morning arrival.